This weekend we will continue our four week congregation wide study of Holy Communion. 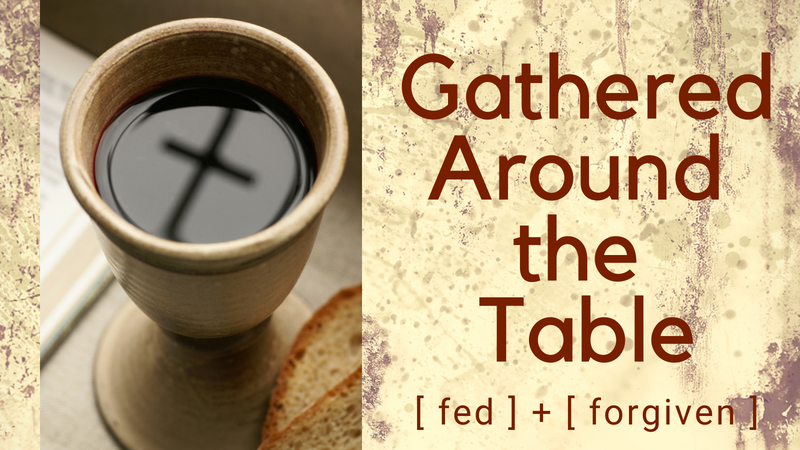 We are exploring what Holy Communion is, what it means for our lives as disciples of Christ and how it sends us out into the world to share God’s love with others. All of us - from our youngest worshipers to our oldest - can grow in our understanding of the sacrament of Holy Communion. Adult small group gatherings are underway. Contact Pastor Heidi if you would like to jump into one. Children are studying about Holy Communion in age appropriate ways in their Sunday School classes. At Abiding Presence we believe children of any age can begin receiving Holy Communion at any time. We recognize, however, that some parents would like their children to learn about Holy Communion and go through the Rite of First Communion before receiving the sacrament. Children who would like to receive their first Holy Communion should plan to attend Sunday School on Sundays October 7, 14, and 21. Children will receive their first Holy Communion and participate in the Rite of First Communion on Sunday, October 28 at either the 8:45 or 11:00 a.m. service. Pastor Keseley and Sara Dyson, Children & Family Minister, will meet with first communion children on Saturday, October 27 from 4:15-5:30 p.m. for communion bread breaking and conversation. RSVP to Sara Dyson for the October 27 event. If you have questions about having your child receive Holy Communion, Pastor Keseley would be happy to talk with you.